The activities concerning the construction of the thermal power plant in Banovići have been carried out continuously. The selection of the most favorable company to perform the works is underway, and this should also be executed in the following several months. The selection of a contractor for the construction of the thermal power plant in Banovići is expected to be performed in mid-2015. This is a project that will also enable the creation of a large number of jobs, but also the increase in the production of the Brown Coal Mines “Banovići”. The second round of the tender for choosing the contractor was opened in January this year. Four of the eleven submitted bids had entered this round. In the Brown Coal Mine “Banovići”, they emphasize that they are satisfied with these bids, because these are the companies that can completely carry out the project implementation. – They have also given all the parameters prescribed by the EU and BiH standards in a manner that is satisfactory in technical and technological terms. We also requested a preliminary price and the manner of funding, and, in this respect, all four companies have quoted a 100-percent funding – Munever Čergić, general manager of BCM “Banovići” d.d. Banovići, points out. The price for the construction of the thermal power plant in Banovići ranges between 400 and 500 million EUR. The final price will be known in the third phase of the selection of companies. – This means that we are going into the third round, which, according to our estimate, can begin around the end of March and the beginning of April, and which is going to last for almost three months, that all four companies are going to enter this round, giving their final Bids in detail – Čergić adds. Čergić adds that this could be expected at the end of June this year. 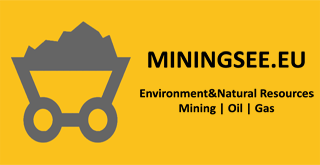 After all these activities, in accordance with the obligation, the BCM “Banovići” will send the ranking list with the bids to the Federal Ministry of Mining again. The government of FBiH will send this list to the Parliament, and then the final approval for the construction of the thermal power plant is expected to be obtained.